Home > Anime > attack on titans > Is 'Attack on Titan' About to Take Kenny Into a Titan? Is 'Attack on Titan' About to Take Kenny Into a Titan? 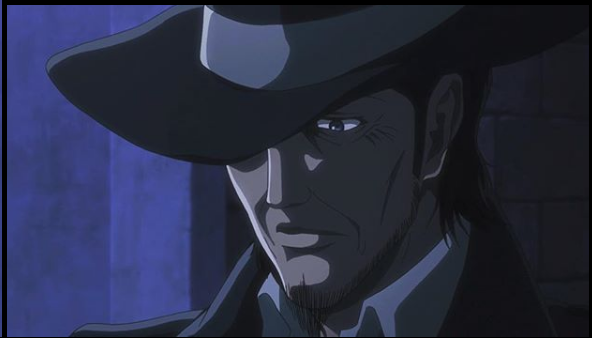 Attack On Titans launched many new surprising elements for third season where the biggest warp was the addition of Kenny Ackerman and The Human Vs Human fight as he chase down Survey Crops with the latest development leaving him near and hold key point of Titan Serum, could the series be developing to unveil a brand new Titan In Kenny? When Rod Reiss change into ugly disgusting freakTitan in underground Reiss resulting changing transformation brought place down. The main reason the Survey Crops able to escape the places where their lives because of Eren operating his new hardening Titan Power but Kenny was not Lucky. IS Really Kenny Ackermann Transforming into Titan? Although he managed to escape with the life that the latest episode shows that he is in horrible condition where no one else from the team survive in cave and he protect in severe burns and wounds sitting down in front of trees that Levi challenge downed Kenny. However, Kenny shows that he's actually been holding some secrets which was Titan serum and syringe. Though there's no indicator as to what the power that holds, or whether or not he would transform in the first place, this does put Kenny in an interesting position.